Description: The project consist in providing technical and scientific assistance to BMILP for the development of “Handbook for biogas safety in the agriculture sector” for small-scale agricultural biogas plants and the training package, with the aim for BMILP to improve the safety of the agricultural biogas projects during the engineering phase (engineering is often done by small companies) and also during the operation by improving the skills of the operators. The services will be provided by EU-VRi, with support from INERIS DEVELOPPEMENT and INERIS, as main subcontractors. EU-VRi Specific Role: Main contractor and interface with the client. 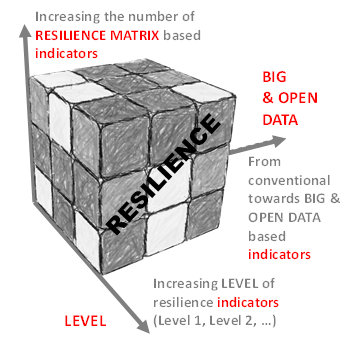 Description: The H2020 project EC4SafeNano starting on 01/11/2016 for 3 years will define and design a sustainable European structure for European expertise on nanosafety in order to bridge the gap between research and application for public and private actors, between knowledge on risks and risk management, and to bring a balance between Science and Appliance. The proposed partnership will set up a structure to integrate expertise activities across the member states, and provide the interface between the scientific community and these other parties to develop and supply knowledge and technical services appropriate to each community. EC4SafeNano aims to build an open collaborative network gathering expertise in risk management of nanotechnologies. All interested organization are invited to take part in the initiative as an Associated Partner helping to design the future European Centre and establish harmonized approaches for the proposed solutions and services. The Associated Partners will be active at the European level through their participation in the Focus Networks and will act in an ‘ambassador’ role for the member states where they are based. National centers are foreseen to mirror the European center. 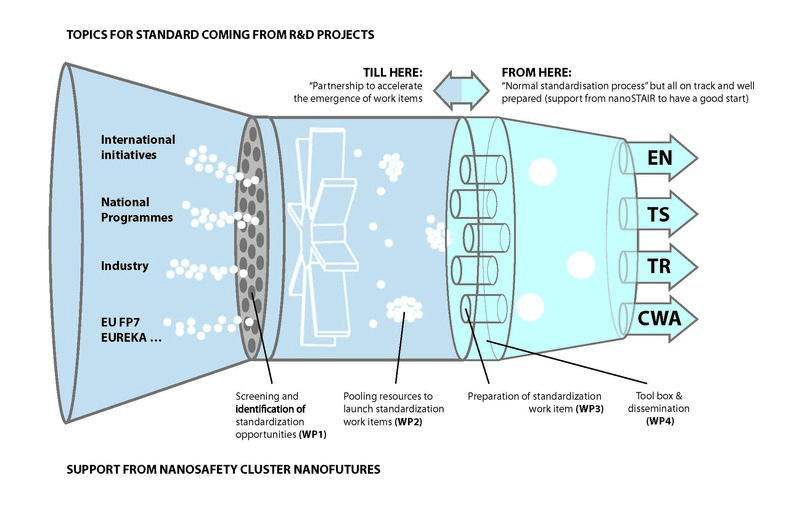 EC4SafeNano seeks to establish a record of accomplishment in developing ‘fit-for-purpose’ solutions and providing access to reliable data and experience to help solve the range of environment, health and safety challenges that will be required to develop safe and sustainable innovation for nanotechnology. 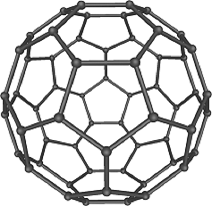 EC4SafeNano also seeks to establish principles for safe management of nanotechnology, and to assist public and private organizations and industry in the application of these principles. European joint calls for expertise will help demonstrate the concept of establishing and providing this collective expertise to answer demands. EU-VRi Specific Role: Networking platforms and engaging stakeholders, dissemination and exploitation and support to management and coordination. 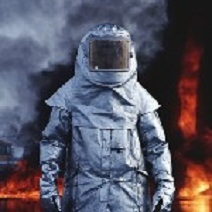 EU-VRi Specific Role: EU-VRi is in charge of coordinating the project’s Supplier Platform that is reaching out for innovative solutions throughout the CBRNe security cycle and in charge of standardization aspects on behalf of the consortium. EU-VRi Specific Role: The main tasks of EU-VRi in this project are the analysis and selection of sectors etc to be investigated, to create an assessment of implementation as well as a detailed assessment. To accomplish these tasks the development of a methodology to identify a representative sample of industrial sectors and Member states to collect the further data required for the detailed assessment if the impact of the directive. 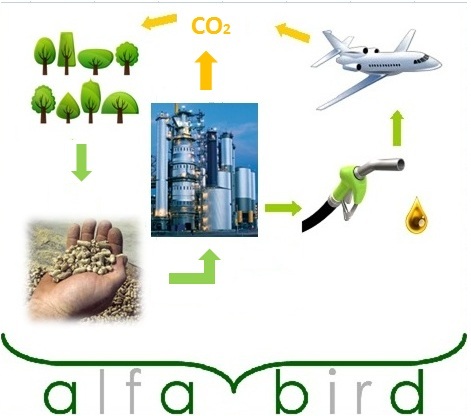 Description: Coordination action to support standardisation in the field of nano. Description: The objective of the SAF€RA is to improve cooperation and coordination of national research programmes addressing industrial safety, including enhanced interaction with the Framework Programme and the NMP themes in particular and aiming at the creation of a Joint Programming Initiative on Industrial Safety. SAF€RA will focus on improving the level of safety in the European industry through coordinated research to achieve sustainable growth and enhanced competitiveness. 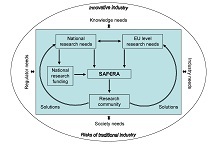 The scope of SAF€RA will include coordination of research on the prevention of major accidents and in particular the economical benefits of industrial safety solutions, safe innovative processes, preparedness and response as well as protection of the environment, new methods to enhance the creation of a safety culture and prudent attitudes, reference technologies for life extension of aged and repaired structures, as well as products and systems required to increase industrial safety. 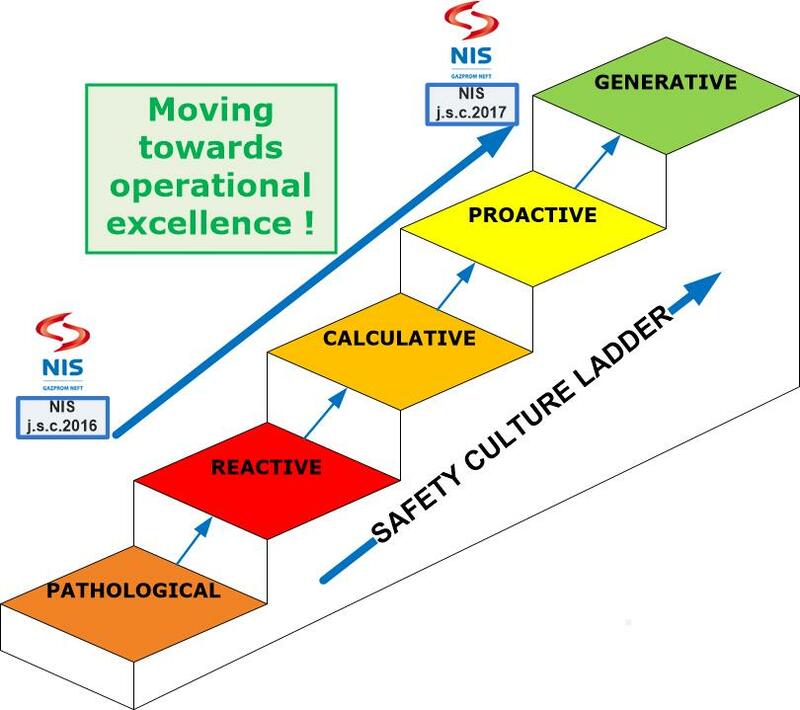 This scope is complementary to the NEW OSH ERA project which focused in coordinating and cooperating on research on new and emerging risks at work, the task which is continued by PEROSH, the Partnership for European Research in Occupational Safety and Health. 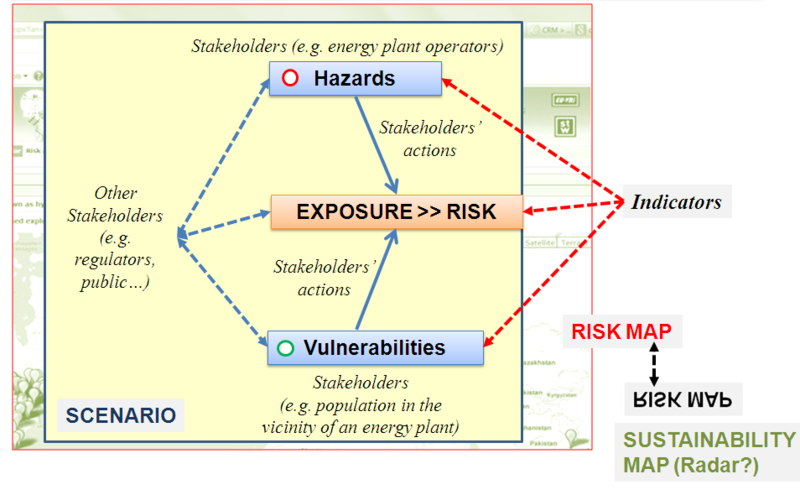 In the collaborative research promoted by the NEW OSH ERA project the personal health and safety was in the focus whereas the SAF€RA coordinates research related to the major industrial hazards which have the potential to cause major accidents with off-site consequences and risks to the environment and society. 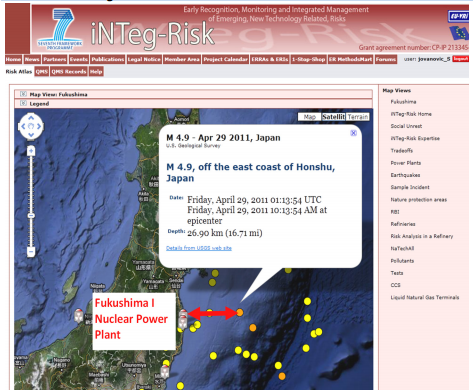 - Increasing awareness about the importance of research in the field of industrial safety as a major contributor to a dynamic knowledge-based economy as well as working to strengthen the impact of this research at the EU, national and international levels. 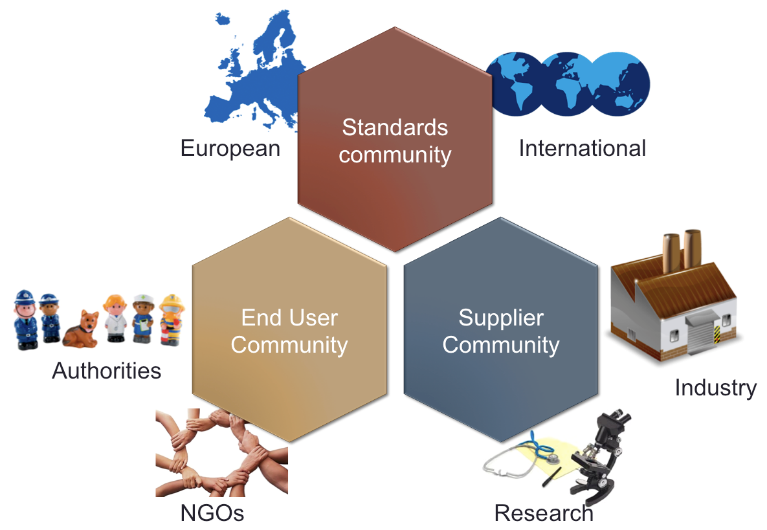 - Exploiting synergies and avoiding duplications of research and development among the partners of the Consortium and reducing fragmentation of the European Research Area by increased coordination. - Establishing joint programmes of transnational research projects between the involved Member States, materializing in a pilot programme collaborating research projects between the SAF€RA partners and serving as a test bed for the future joint programming. 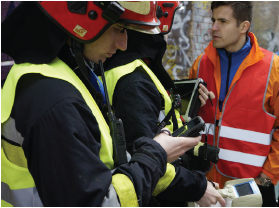 - Developing and implementing common, joint, strategic activities to establish a durable European network for cooperation between key actors in the field of industrial safety. EU-VRi Specific Role: In SAF€RA, EU-VRi will represent ETPIS and propose to use the existing web tools for communication and dissemination of SAF€RA information to over 500 members of ETPIS gathering practitioners, scientists, public authorities and NGOs interested in industrial safety.